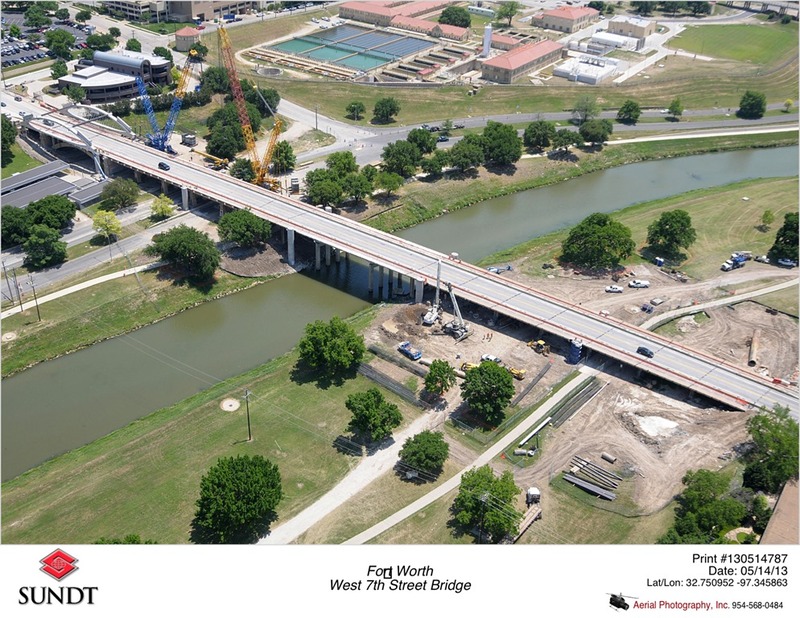 The West 7th Street Bridge in Fort Worth, Texas was closed on June 7th so that Sundt Construction could start demolishing the existing bridge. 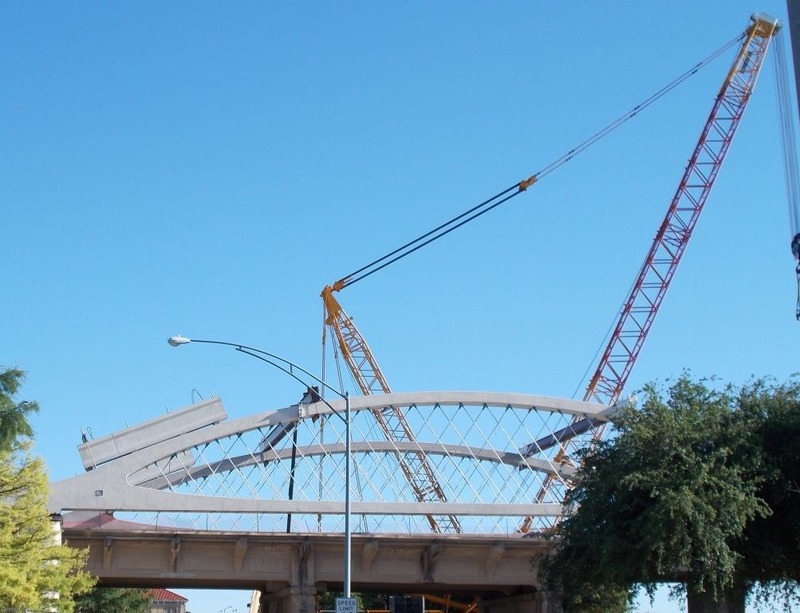 Sundt set all of the arches for the world’s first pre-cast network arch bridge according to TxDOT. The W. 7th Street bridge is a gateway between downtown Fort Worth and its cultural district. 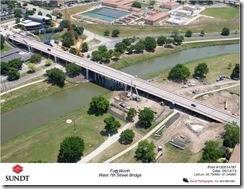 TxDOT designed the bridge with six arch spans across the Trinity River to improve safety, pedestrian access and add to the architectural redevelopment under way in this corridor. The project will widen and reconstruct the four-lane bridge with 10-foot sidewalks. 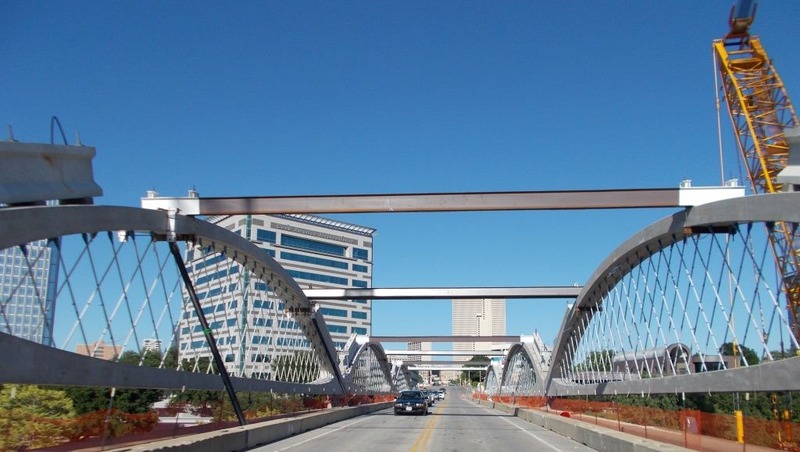 It is the world’s first pre-cast network arch bridge. 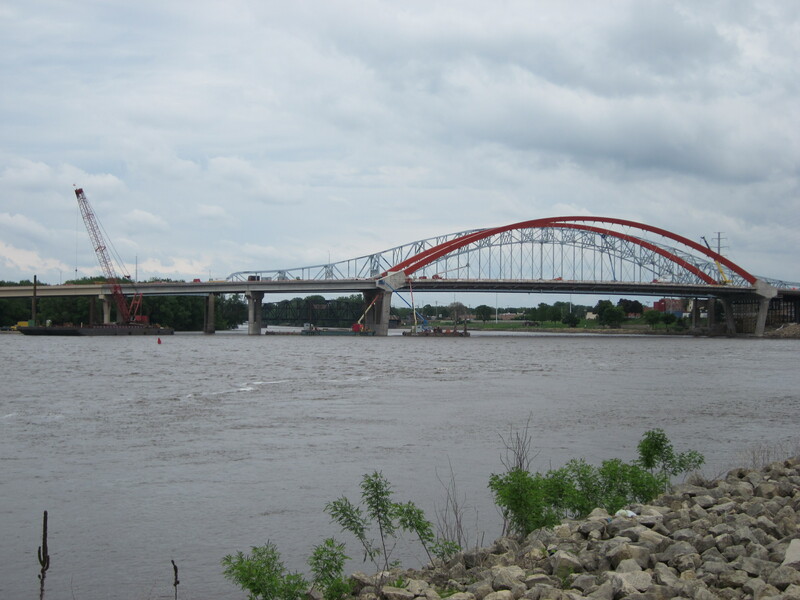 DBA provided Sundt with some construction support related to the heavy lift cranes for the arch picks. I previously wrote about it here. 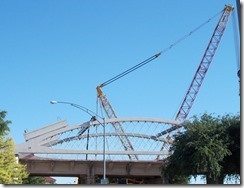 In late May, Cade Redig of Sundt sent me a few photos of the progress. Take a look and enjoy! I had the unique opportunity to be among the first people to cross the new Hastings bridge and among the last to cross the old Hastings bridge, during the short period of time when the two bridges were simultaneously carrying traffic. 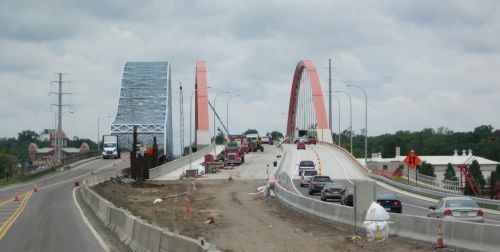 Yesterday evening, Monday, June 3rd, crews shifted southbound traffic onto the new bridge for the first time. 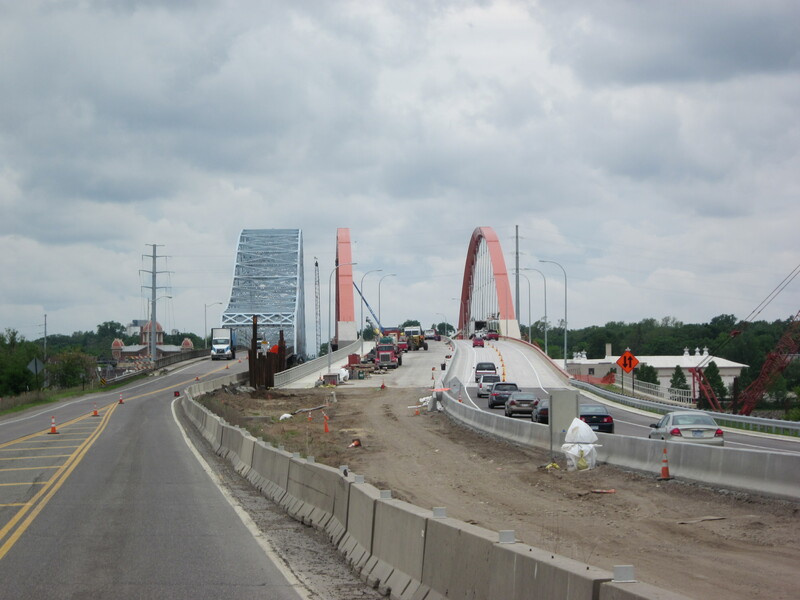 This evening, the old bridge will be closed to traffic for good as crews shift northbound traffic onto the new bridge. 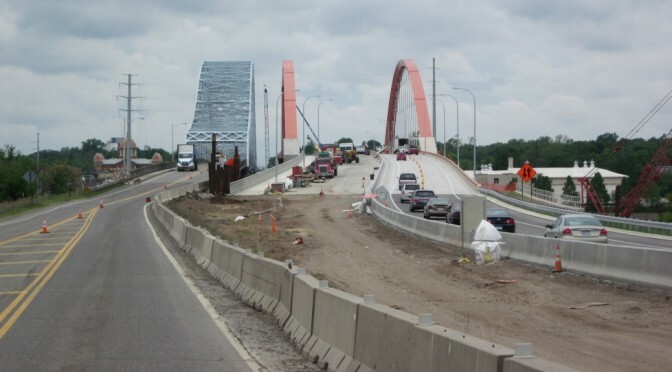 According to the Minneapolis Star Tribune, there will be a funeral service of sorts for the 1950’s era truss bridge tonight, complete with a bagpiper and hearse. Being just up the road for the St. Croix Bridge Project, I took the opportunity to travel across both bridges today and take a few pictures like the ones above. It is not every day that we, as foundation designers, get a chance to see this stage of a project. Luckily, I was in the right place at the right time. 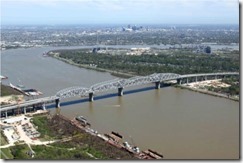 The Huey P. Long Bridge in New Orleans, Louisiana will be officially completed in June this year, according to the LADOTD. A recent article in the Times-Picayune on-line announced another ramp opening last weekend, bringing the $1.2 billion project one step closer to completion. 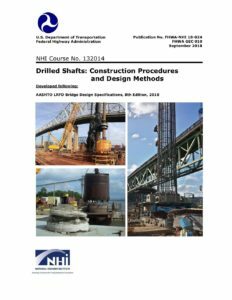 DBA was brought onto the project by the contractor team to consult on the design, load testing, and construction of the 9-foot diameter, 184-foot long base grouted drilled shafts. 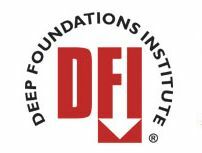 Check out our previous DBA posts on the HPL. 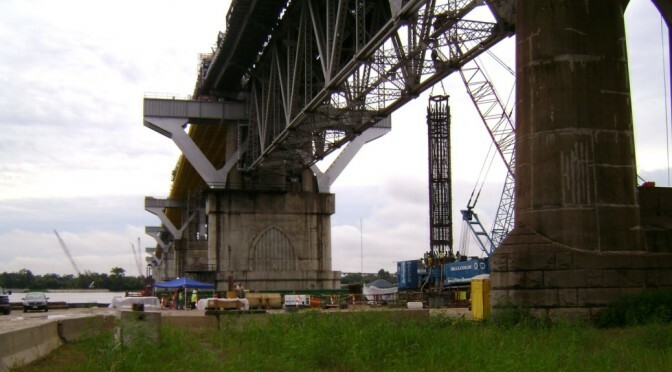 This article from the Times-Picayune in 2009 gives a great graphical description of how the bridge was widened. 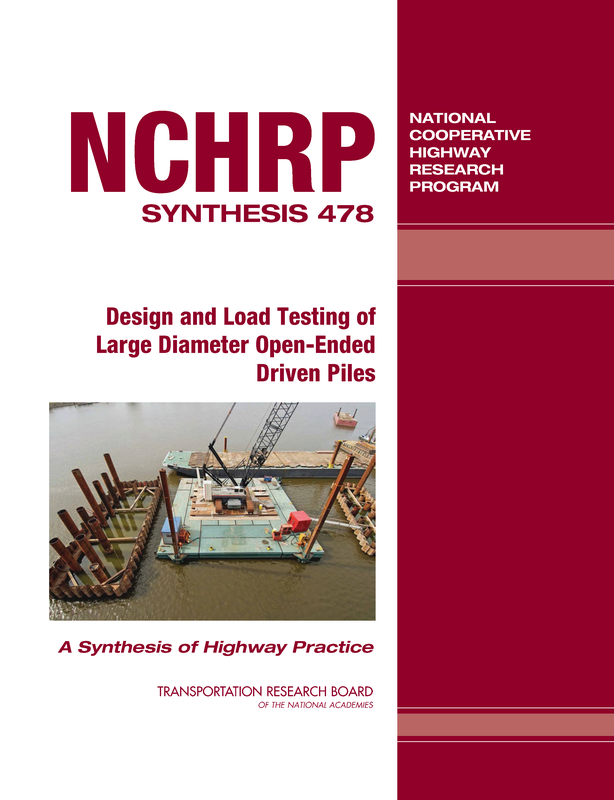 You can learn all about the history of the bridge and the project at the project page of the Louisiana TIMED Program. 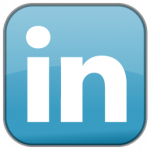 The project page has a lot of good links, including photos from the project.